It's not quite "Invasion of the Body Snatchers," but former GOP House Speaker John Boehner on Thursday said President Donald Trump has taken over the Republican Party. "There is no Republican Party. There's a Trump party. The Republican Party is kind of taking a nap somewhere," he said at the Mackinac Policy Conference in Michigan. 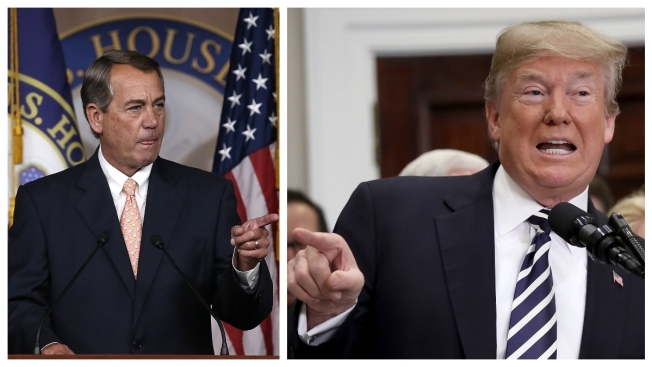 Boehner, of Ohio, also described his relationship with Trump, saying that Trump would call him when he was speaker but that neither thought Trump would win the 2016 election.